I went to Thailand two weeks ago for seven days as vacation with three other women from my program. We spent our first two nights in Bangkok, took the train to Chiang Mai in the north, stayed there for four nights, and returned to Bangkok on the overnight train. My trip was absolutely fantastic! Thailand is a wonderful country with amazing food, wonderful scenery and great people. I hope to return at some point in my life. In addition to the photos on FB, I wanted to give everyone some of the highlights. 1. Tigers: Everyone wants to know how on earth I got to pet tigers. 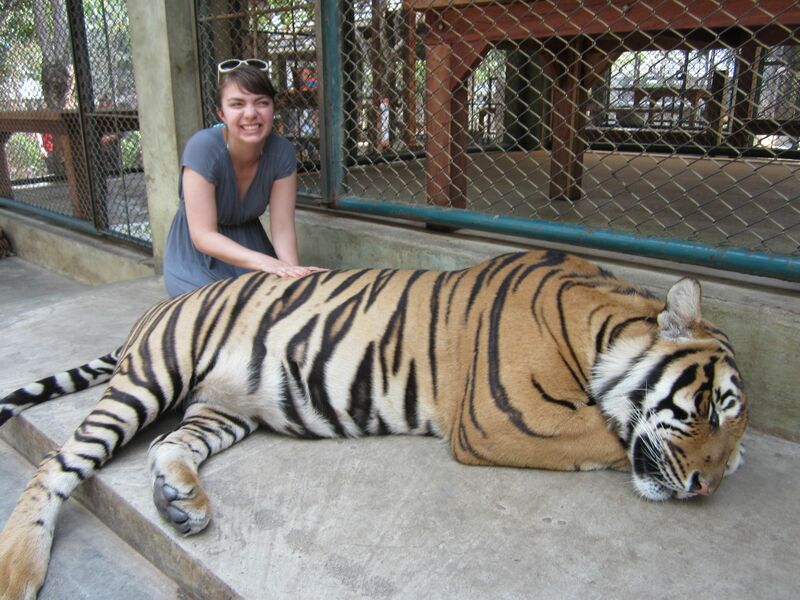 There is a place, similar to a zoo, in Chiang Mai which lets you go inside the large enclosures and pet tigers. These tigers have been born and bred in captivity so they are used to human contact. I was initially pretty scared, but it was so cool to have the opportunity to get close to a wild animal that could eat me in less than five minutes. We also got to watch the trainers play with the tigers, similar to the way that you play with house cats, which was also incredibly cool. Tigers can jump really high. 2. Elephants: Due to moral objections, we decided not to ride elephants and instead choose to go to an elephant conversation park for rescued elephants. Thai culture reveres elephants, but with the rise of the tourist industry in Thailand, many of the elephant camps have become extremely exploitative and abusive. The elephants are frequently chained for long periods of time, hit and poked with sticks that have nails on the end, and shot in the eyes using sling shots. Additionally, elephants, like people, remember traumatic events and will remember all the pain that they experience. 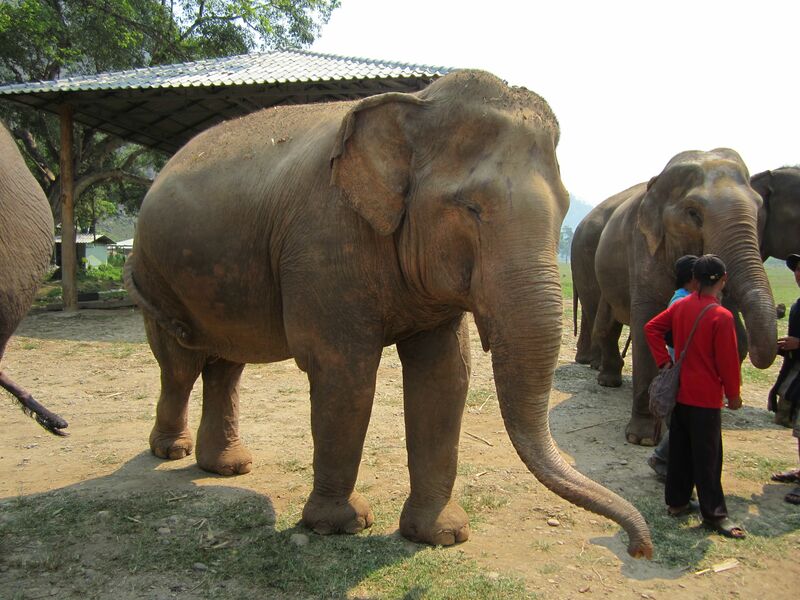 The Elephant Nature Park offers a sanctuary for elephants from abused backgrounds. Many are blind, missing eyes or have permanent hip/leg damage. The Park was started by a Thai women from a small village in the late 1990’s. We spent the day feeding the elephants, giving them a bath, and learning about elephants in Thailand. Again, I was initially pretty scared because elephants are really, really large and their trunks are super powerful, but I got more comfortable as the day progressed. Fun fact: Elephants eat 10% of their body weight every single day. They only sleep about 4 hours a night and spend the remainder of the day eating. 3. 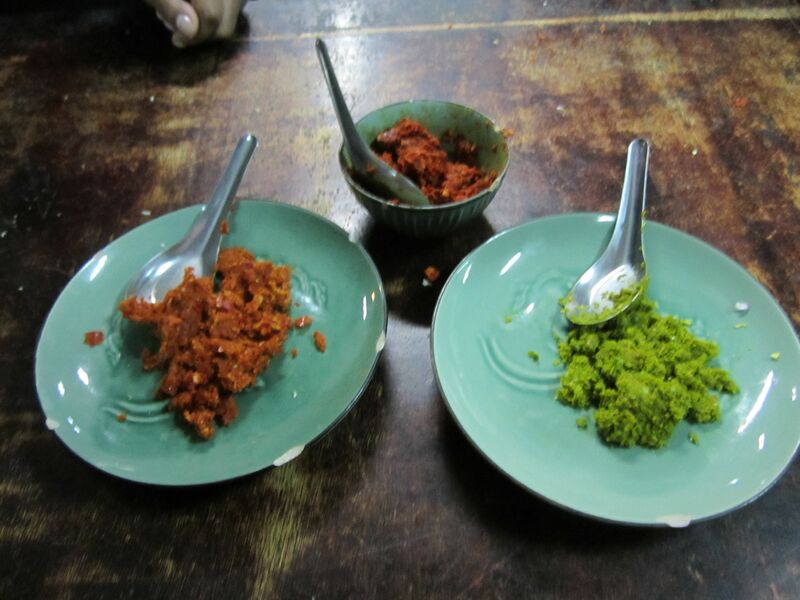 Thai cooking: We spent one afternoon in a cooking class. I made hot basil stir-fry, green curry paste and later green curry with chicken, and deep fried bananas. As I mentioned earlier, Thailand has fantastic food, so I was extremely excited to learn how to make some of it. They even gave us a cookbook after the class, so I can make Thai dishes at home!